Does what it says on the tin: covers the wheels, but not much else. A tight fit so putting it on takes a bit of wrangling and you may get dirty yourself in the process. But tight also means it stays on reliably and does not take up extra space. Made of nice sturdy looking material. This wheels cover for the Rovic RV1C trolley is excellent for keeping all the winter mud off my carpet and golf bag in the car boot. It's just a little tight to stretch over the wheels but this has the benefit of ensuring it doesn't slip off when wriggling the trolley in and out of my small car boot. It works fine, easy to put on—just wanted to point out that it does fit the Rovic RV1S easily. 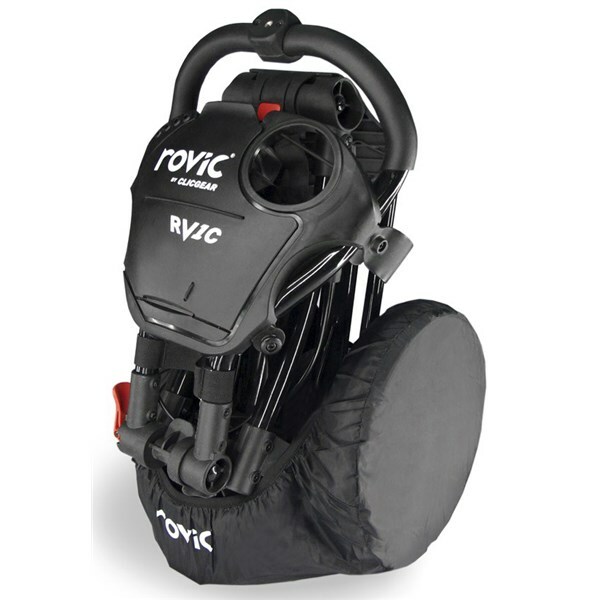 Keep the boot of your car clean after a round of golf with the Clicgear Rovic RV1C Wheel Cover. When your Rovic RV1C is folded up the elasticated wheel cover simply slips over the base of the trolley to keep the wheels covered and stop the interior of the boot getting dirty. Elasticated Wheel Covers. 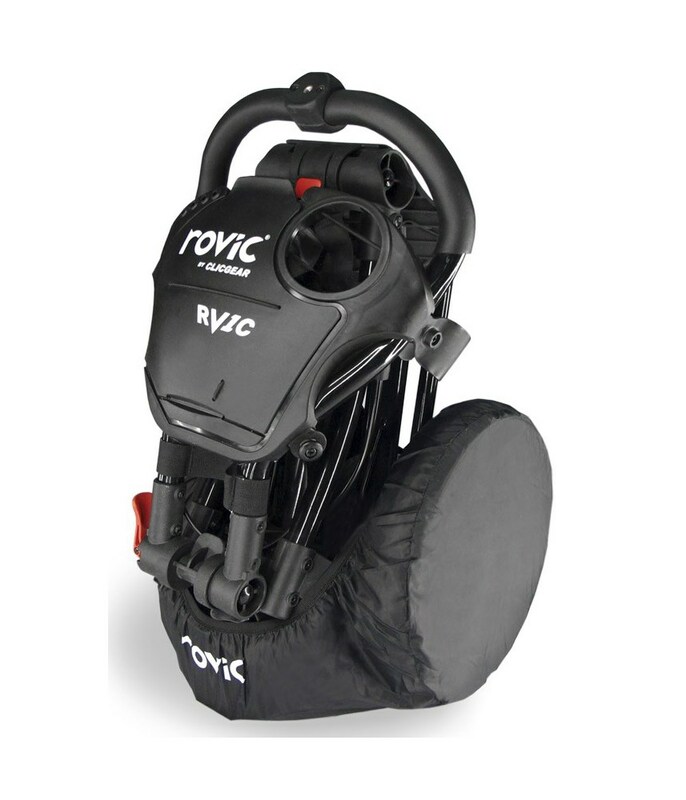 Please Note: The Clicgear Rovic RV1C Wheel Covers will only fit on the Rovic RV1C trolley and no other Clicgear branded trolleys.